Wouter Wippert Professional Cyclist | 2019 is coming! Born August 14, 1990 in Almelo, The Netherlands, Wouter spent the first years of his life in Nijverdal where he went to primary school. After trying various sport swimming & soccer as a young child which he didn’t find very exciting, he started riding a bike. The first six months he rode the paths and trails just riding around town, enjoying being outside and exploring. The next year, in 1999, Wouter raced his first race in category 1 and that is the day the whole cycling story started. His first race in Harbrinkhoek, is a memorable one he will never forget. He thrives in the memories of the youth category racing he did and the friends he made and have given him good memories of fun times and truly cultivated his love of cycling. As a teenager, cycling became more serious, and the balance with school was important. After graduating from high school, his focus shifted to cycling and trying to achieve the most he could from himself in the sport. Important to Wouter was the balance though of education and sport so he began university studies and a racing career with the U23 team of Lotto-Belisol. He gained value racing experience and earned good results. However, he lost a little bit of the joy of cycling. He refocused his time to his university studies for a year during injury and found the joy of riding the bike around his town again. In 2014, everything changed as Wouter was offered a professional contract and a great opportunity with Drapac Pro Cycling to finally make his hobby his career and to grow as a professional cyclist. Wouter spent two years in Australia, studying english and racing on the professional continental level, earning 11 victories in his first two years as a professional cyclist. 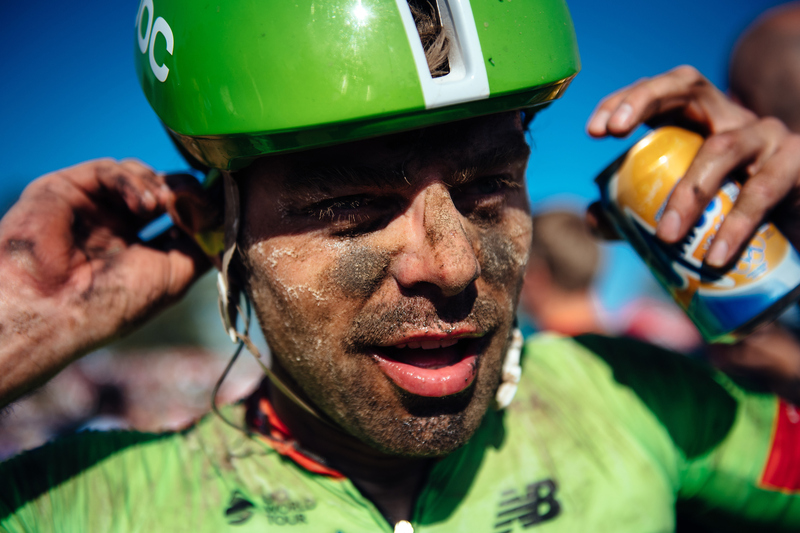 The colors of his cycling changed from red to green, as he joined the World Tour Team Cannondale program in 2016 and 2017 to further develop his racing program and strength in the longer classics and stage races. With work on his threshold power and a focus on increasing his mileage and workload in training, Wouter closed up the 2017 with two wins in Tour of Alberta. Wouter returned to his Dutch roots in 2018 with Team Roompot – Nederlandse Loterij. Wouter’s focus over the 2018 season has been to build his sprint power in one day classics and be consistent in the mix for the win in the stage race sprint days while further developing his long endurance power. Up next: 2019…. Evo Pro Racing! “Live you dream, don’t dream about your life”.